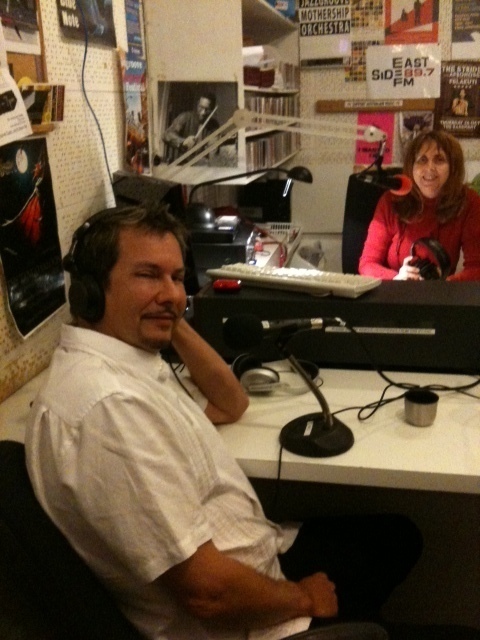 Just a quick note to let you know that I have added 13 cool podcasts to my blog at www.gabrieljazz.posterous.com. This is an in depth interview, track by track, with John Beaudin, discussing the making of Told Ya So. I discuss the immense contributions from Miles Black, Amanda Wood, Darren Rahn, Marc Antoine, Paul Brown, Rock Hendricks, and Jeff Lorber..... and talk about the muse behind many of the songs. The single Rockin' The Ribjoint, from Told Ya So, is still on the Top 50 chart in the US, and was in the top 20 in Australia for all of 2010. Every day the single Rockin' The Ribjoint gets a few more spins or adds, so the tune seems to have legs.... looking forward to a long and satisfying climax! Off to JW Desert Jazz tomorrow in Phoenix... it should be a great show! Wow, getting excited about so much! Heading down soon to The JW Desert Ridge Jazz Festival, and will be hanging with my good jazz buds Warren Hill and Nick Colionne. They both have great new shows and new albums in the works, and it should be an exciting place to perform! The Wave 'Smoothie' Awards comes later in April, and that will be a great weekend party with so many great names. Larry Carlton will be awarded the Lifetime Achievement Award (deservedly so), but other nominees like myself will just have to wait and see what transpires! The Smoothies are always a great show and party (thanks to visionary Mary Kirk) and continues on at the Old Mill in TO the following night, where it inevitably becomes an All Star Jam.... I have had the opportunity to play with some great guys that would normally not be on the same gig, such as Rick Braun and Greg Adams, and have made some new friends and colleagues on stage, where I first met Nick Colionne, Peter White, Jessy J, and the fabulous David Sanborn. Keep the Drive Alive and support the talent that puts heart and soul into every note you love! So very disappointed that the Oasis Awards in San Diego were a bust, especially at the 11th hour! It left many musicians scrambling or in transit. This is a hobbling blow to the contemporary jazz industry and art form, and may be indicative of the perfect storm of US economy woes and music apathy. We all have to support such a great platform in whatever way we can ..... Jazz and blues, in all their forms, are the only indigenous North American musical art forms, with contemporary or 'smooth' jazz being arguably the most relevant .... Thankfully The Canadian Wave Smoothies are still a go! Checking in from My travels in Oz. Doing a little two week tour here, three cities. 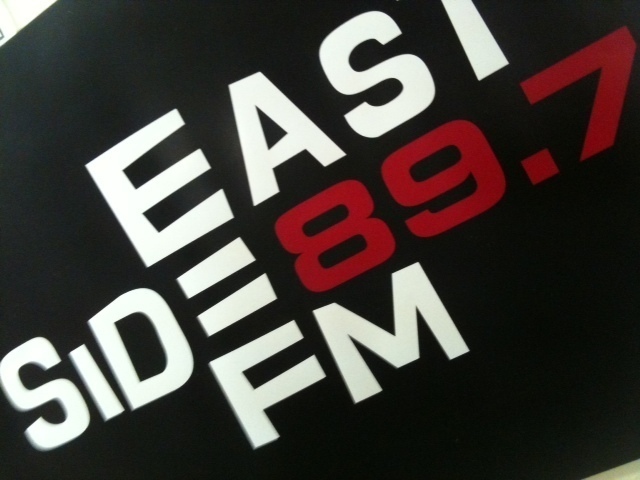 Posting today from Sydney, I am here in the studios of Eastside fm 89.7 (or streaming at www.eastsidefm.org). I am here in the studios doing an interview with the cool tag team of Reed & March and their show A Twist of Cool. My latest release Told Ya So was in named here in Oz as one of the top 20 albums of 2010. In the last two weeks I performed some luxe licks at the Paris Cat in Melbourne, and in the Sydney area at the Clarendon in Surry Hills, Woolahra Jazz Bar in Woolahra, the Sheaf in Double Bay, and The Civic in the city. Having a good time and will post some video soon. Attended the Roy Ayers show at The Basement (where I played a few years back). Good show, very beat heavy.... Packed house, SRO. He can still play the vibes, tho... Had them midi'd to synth sounds. Back to Vancouver for a concert with the big band Urbana on Feb 25. We were happy to find out that his new smooth jazz cd release ‘Told Ya So‘ is currently on the US and Canadian charts and has been nominated for Album of the Year, and Gabriel himself for Wind Instrumentalist of the Year at the 2011 www.TheWaveAwards.ca where he’ll also be performing April 29 in Ontario, Canada. Congratulations Gabriel and good luck! Friends, Fans, Colleagues: Gabriel's award nominations - Please vote! If you are having trouble viewing this email with images, click here . I am thrilled to be nominated twice and ask for your kind support! 2010 has been a great year for me and my music, and capping it off with a pair of awards would be so cool! Voting ends Feb. 18 so take a moment now to see all the nominees and vote! Guitar legend Larry Carlton is being honored with a Lifetime Achievement Award at the awards show April 29, where I am slated to perform my rising-at-radio single 'Rockin' The Ribjoint' from my nominated release 'Told Ya So'. Also in the running for International Vocalist is my friend and colleague Paul Brown, whom you can see in the VIDEO 1 link above, footage from our recent two night stand at Jazz Alley in Seattle, and who will be performing with me onstage at TheWaveAwards.ca. I will be in Australia for most of February, and have some events scheduled in San Diego, Bali, and Phoenix after that. It should be an upswing year for me and I hope for you, too!